Canon Alyson Barnett-Cowan, the Anglican Communion's Director of Unity, Faith and Order, has issued a statement - distributed through the Anglican Communion News Service - responding to recent criticisms of the proposed Anglican Covenant. 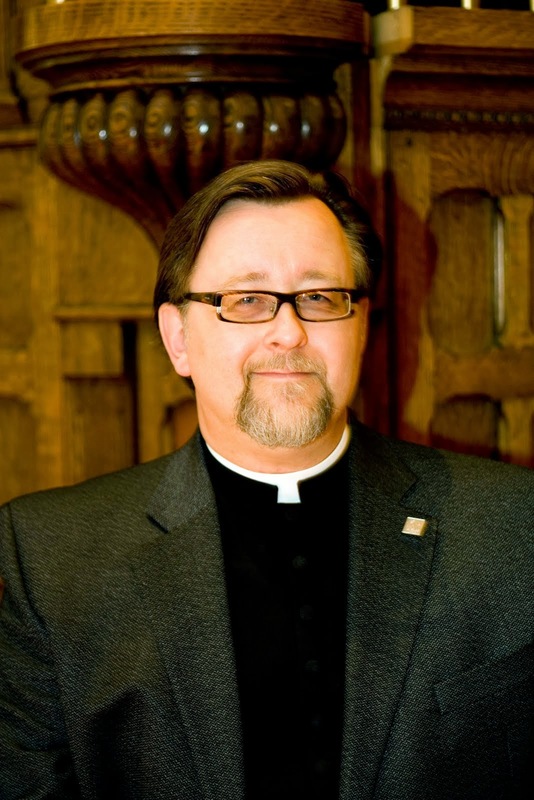 The last two weeks have seen a flurry of critical articles and blogposts - and not all of them from members of the No Anglican Covenant Coalition. 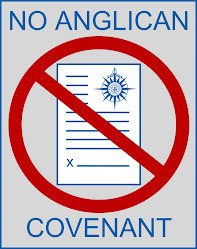 [F]or any Anglican or Episcopalian to be able to properly enter into a discussion about the Covenant it is vital that they first read it for themselves here. Well, one can hardly disagree with that. Of course, the comment itself is a devious bit of spin, repeating the misleading meme that Covenantskeptics clearly haven't read the final draft of the Covenant and that therefore our criticisms can't be taken seriously. It's actually quite an insulting comment - though I suppose we should be grateful that she hasn't called us fascists. Alyson, I assure you that I have read the Covenant. I've read it and I find it appalling - and more than a trifle disingenuous.
. . . mutual commitment does not represent submission to any external ecclesiastical jurisdiction. Nothing in this Covenant of itself shall be deemed to alter any provision of the Constitution and Canons of any Church of the Communion, or to limit its autonomy of governance . . .
To my mind, this is the single most disingenuous piece of the entire sorry process. Nothing limits autonomy, we are told. "Trust me."
. . . [R]elational consequences . . . These relational consequences may include limiting the offending church's participation in the various bodies of the Anglican Communion. You will recall, as a child, being told that you were free not to eat your turnips - but that in consequence you wouldn't have any pudding. Now tell me that you didn't feel a trifle threatened by a sanction intended to constrain your autonomy. Relational consequences, of course, is a euphemism for sanctions. To suggest, therefore, that the Covenant does not impinge on the autonomy of member churches is highly disingenuous. Where international Anglicanism once held autonomy and interdependence in creative tension, we see autonomy eviscerated and interdependence replaced with centralization. Now, while Canon Barnett-Cowan doesn't go there, certain other Covenant apologists have made much of the fact that the Standing Committee does not impose, but merely recommends these relational consequences. In order for one to take solace in this, one would need to have slept through the past few years of Anglican history. In Lambethspeak, recommendation does not mean what it means elsewhere in the English speaking world. A recommendation from a duly constituted Anglican Communion committee has (or at least very nearly has) the force of law. The clearest and most unambiguous example of this is the Anglican Covenant itself, which arose originally as a recommendation of the Eames Commission in the Windsor Report. From that point to this, no official body of the Communion has had a serious discussion about the merits of the recommendation, or whether the recommendation should be accepted or rejected. Instead, by executive fiat of the Archbishop of Canterbury, it was determined that there would be an Anglican Covenant come hell or high water. By executive fiat of the Archbishop of Canterbury, a Covenant Design Group - heavily tilted towards those who openly sought the sanctioning or displacement of the Episcopal Church - was established. By executive fiat of the Archbishop of Canterbury the present draft of the Covenant was declared to be the final "take it or leave it" version. By executive fiat of the Archbishop of Canterbury, the relational consequences are being imposed even without the Covenant having been adopted. I will agree with Canon Barnett-Cowan that people should read the Anglican Covenant. But I would caution people that the Covenant should not be read in isolation, and must not be read without a realistic understanding and appraisal of the context in which it was written. It is clear to all but the willfully blind that there is a hunger for the centralization of authority in the Anglican Communion - and that the pressure for an Anglican Covenant arises from this hunger. It is likewise clear that the power to recommend and to impose relational consequences, having been established, will be expansively exercised - for it is already so. To suggest, therefore, that the Covenant does not impinge on the autonomy of member churches is highly disingenuous. Where I come from, we have a simpler way of saying "highly disingenuous." We just call it a lie. South of the border(s), a The Anglican Communion, it´s a mentira! "Relational consequences, of course, is a euphemism for sanctions. To suggest, therefore, that the Covenant does not impinge on the autonomy of member churches is highly disingenuous." Disingenuous? Or, how about just plain "self-contradictory?" "... recommendation does not mean what it means elsewhere in the English speaking world. A recommendation from a duly constituted Anglican Communion committee has (or at least very nearly has) the force of law." Indeed. And from the example of 1998 Lambeth I.10 we learn that "cannot advise" means "forbid". I have deliberately stayed away from the word "lie" here. It is entirely possible that Canon Barnett-Cowan, Bishop Kings, Bishop Cameron et all actually believe the fatuous bumph they've been spouting. It seems to me that the problem here is where the Communion is at as far as trust goes. Because of the ongoing issues, there is little trust, which means there is little probability that people on either side (or even in the middle) are about to accept anything that they can interpret as having a negative effect on their views. The Anglican Covenant is rather like a pre-nuptial agreement prepared after the marriage is already irretrievably broken. Why is the Archbishop afraid of an honest debate? How would you say "Godwin" in Welsh?